Please be sure to read the following notes for iOS version upgrade prior to using Pro-face Remote HMI on iOS 10. Even when an alarm occurs while the Alarm Monitor feature is being used, no notification is displayed at the Notification Center. Alarm occurrences can be checked with an icon on the server list screen. Remote debugging for reduced labor at start-up. 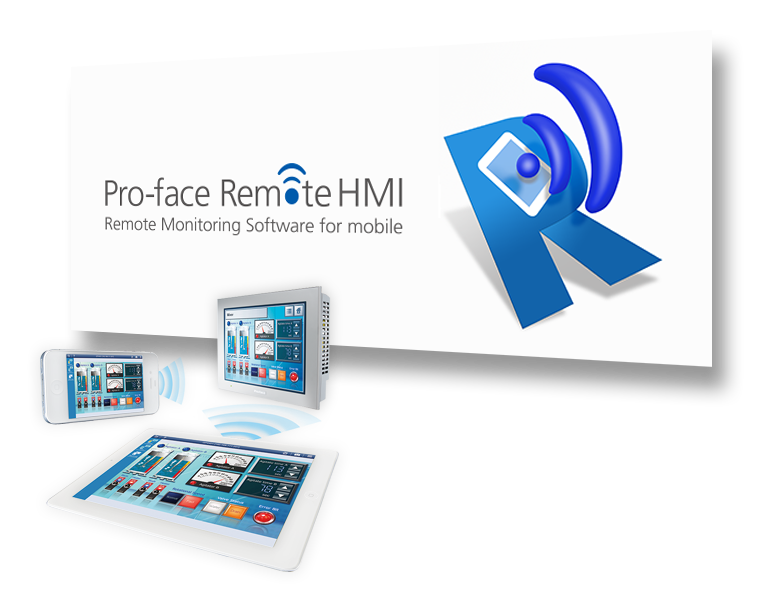 - Windows application "Pro-face Remote HMI Client for Win" is released. - Able to configure a host name in IP address column. - Fixed that the edit menu does not pop-up, when many servers are registered. Version 1.42.000　* GP-Pro EX Ver. 4.05 or later is required. - GP4100 Series Color Model supported. *　- An app is automatically launched after Android OS starts up.